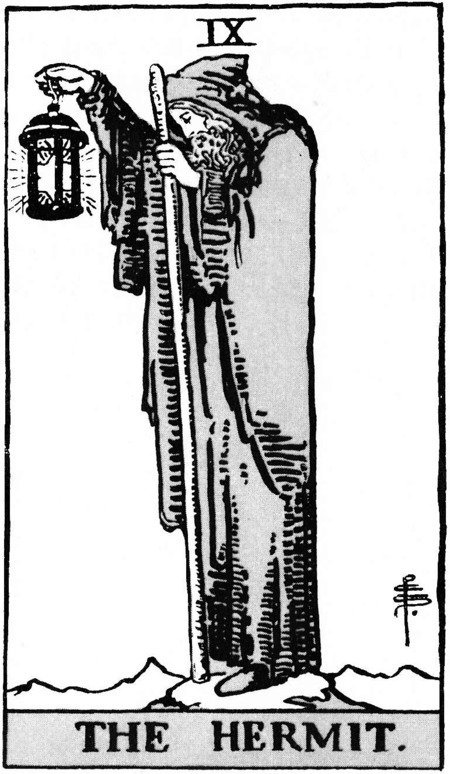 Our Tarot Tuesday card this week is card IX of the Major Arcana, The Hermit. Our site for this card dates only from the 18th century, although it lies close to several ancient monuments, so qualifies for inclusion here. 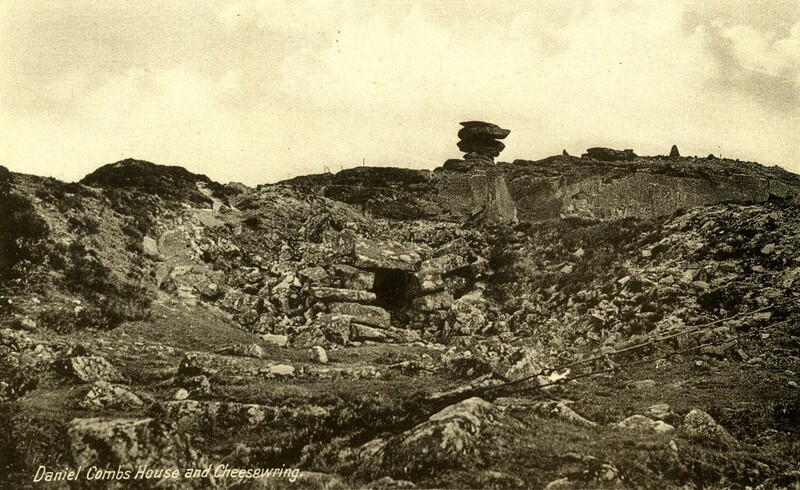 Daniel Gumb created a cavehouse on Bodmin Moor, close to the Cheesewring and the Hurlers stone circles. He was no hermit, but a stoneworker who lived on the moors with his wife and children. He was also a stargazer and mathematician. He used the reclusive environment he lived in to further his studies in these subjects, using the roof of his cave as an observatory. The rocks around his home were carved with his calculations. Many still survive. Sadly, with the expansion of the Cheesewring quarry his excavated cave is no longer in its original location, but has been reconstructed nearby and this can be visited today. « A question writ large in the sun drenched fields: “Why the hell defend “laissez faire”?